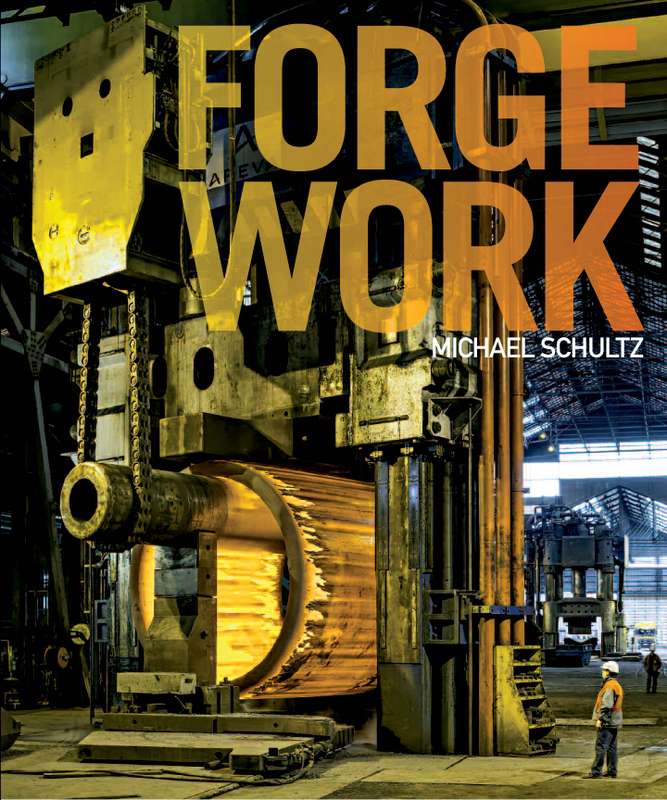 FORGE WORK, by award-winning industrial photographer and Guggenheim Fellow Michael Schultz, provides a rare portrait of the processes and workers of heavy industrial forge work. More than 120 vivid color photographic compositions of forges in North America and Europe pay tribute to this industry. 138 pages, 10 fold out pages. The book is available in soft cover and a very limited edition (35 copies)hard cover. The hard cover is custom bound, cloth slipped cased, signed and numbered. 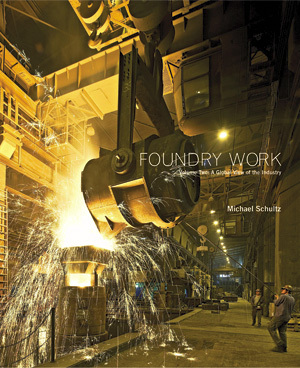 Michael Schultz, with the aid of a Guggenheim Fellowship, annnounces the release of a second volume of Foundry Work. This new book includes 27 new global foundries, casting up to 400 ton castings. Over 300 full color images of more spectacular motifs of the work within foundries found on four continents. Essays by Lawrence Chrismas, Betsy Fahlman, and Michael Schultz (also translated into German, and Italian). 288 pages,14 fold out pages. The book is available in soft cover and a very limited edition (50 copies) hard cover. The hard cover is custom bound, with a cloth covered clam shell case, signed, numbered, and an original print embossed into the book cover. and vivid.” from the forward by Raymond Monroe, Exec. V.P. Steel Founders Society of America. 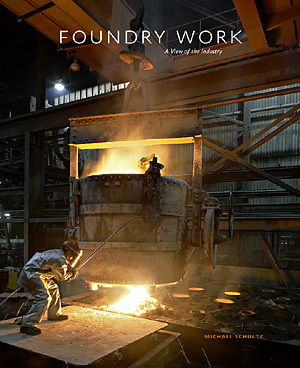 images of the spectacular work within large foundries in the U.S. and Europe. book is available in soft cover and a very limited edition hard cover. Michael Schultz has released a beautiful 18” x 24”, four color poster. 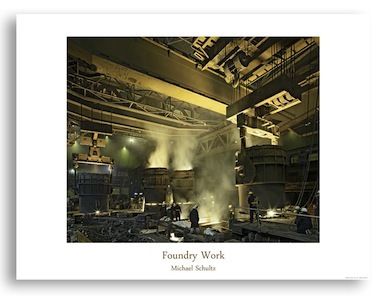 The image is taken from the book “Foundry Work, Vol. II” of a 400 ton casting pour. Price: $35 includes shipping within the USA. Overseas orders: contact Michael Schultz.